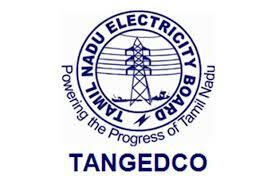 TNEB TANGEDCO AE Recruitment 2018 Notification is announced by the Selection Committee on 14.02.2018 in order to fill 375 Assistant Engineer Jobs in various sectors. So, the interested aspirants must enrol their names in Online from the site tangedco.gov.in till 28.02.2018 by checking their eligibility fastly without fail. TNEB TANGEDCO AE Job Openings Notification 2018: Aspirants have to check the link available and send the application in Online mode. Freshers/Job Seekers/Experienced Candidates can fulfil the TNEB Assistant Engineer 375 vacancies here. This is the good opportunity to start a career in Government sector. Candidates should eligible with minimum education qualification such as Graduation/ Degree having an opportunity to apply for any of the available govt jobs. So, check the AE Branch wise jobs available below. Use this available opportunity and another schedule will be updated soon. So prepare the Syllabus available here to crack the test. TNEB TANGEDCO AE ஆட்சேர்ப்பு 2018 அறிவித்தல் 14.02.2018 அன்று தெரிவுக் குழு அறிவித்துள்ளது. 375 உதவி பொறியாளர் பணியிடங்களை பல்வேறு துறைகளில் நிரப்பவும். எனவே, ஆர்வமுள்ள மாணவர்கள் தங்கள் பெயர்களை ஆன்லைனில் Tangedco.gov.in இலிருந்து 28.02.2018 வரை பதிவு செய்ய வேண்டும். TNEB TANGEDCO AE Recruitment 2018: All the eligible and career oriented candidates clearly check the details and apply for the vacancies in our site. You can also check Tamilnadu Government jobs here to know upcoming updates. We are advising you to stay connect with this page to get know more details and updates of latest notifications, govt jobs, and job openings and our site also provide the official link of Tamilnadu Generation and Distribution Corporation Limited TNEB AE Jobs and You will get full details about examination structure from notification uploaded at the official website. So, the candidates must utilise the job opportunity and perform well in the selection rounds. Candidates should possess Diploma/Degree in relevant Engineering subjects i.e ECE/ EIE/EEE/ CSE/IT/ Civil along with computer knowledge or Graduation with the first class to apply for TNEB TANGEDCO Assistant Engineer Recruitment 2018. Candidates age should be 21 to 30 years as on date 28.02.2018 per the rules and regulations of the govt. Age relaxation would be applicable to all reserved category candidates. Selected Candidates will have the salary of Rs.10,100/- to Rs.34,800/- along with a grade pay of Rs.5,100/-. Log on to the official website www.tangedco.gov.in. On the home page search for related tab TNEB TANGEDCO Asst Engineer Notification 2018. Go to that tab and click on “Apply Online” tab. Fill all the details with your personal, academic qualification, etc. details. Check once before submitting the application form.